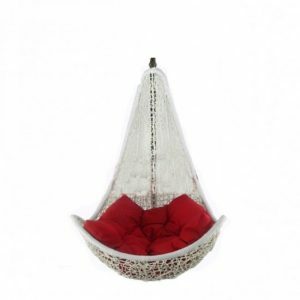 Comfortable seating and a great complement to your room, balcony or any outside area. The all-weather wicker swing provides a beautiful look and the sturdy frame offers longevity. 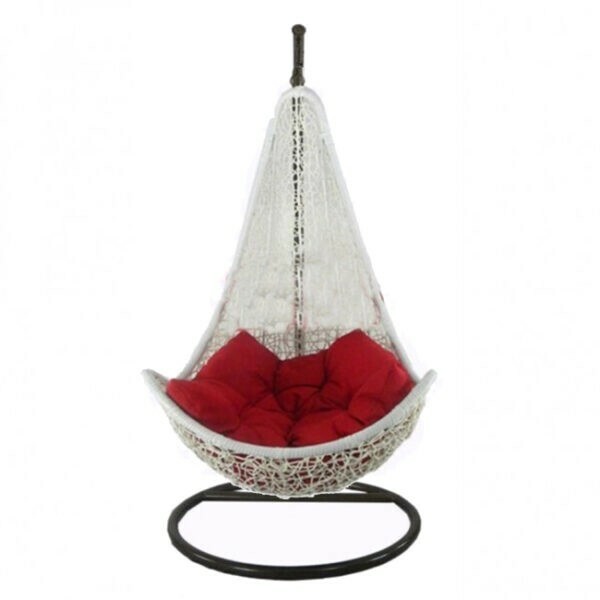 This beautifully wicker wire weaving swing its protect from all weather and it will give you real all time comfort. 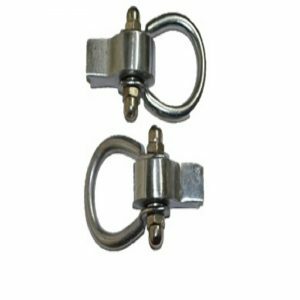 A strong Iron pipe 2 inch diameter frame take heavy load. 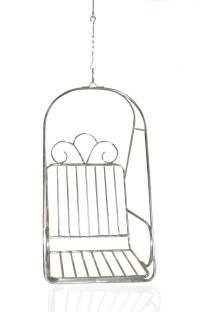 Swing iron frame is meticulously wrapped in wicker wire and handsomely finished with braid trim to give this swing a fresh appeal. 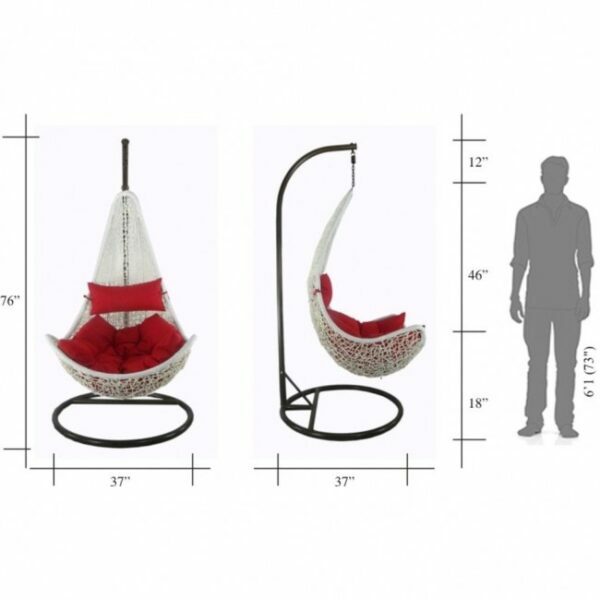 swing use for seating Purpose only. 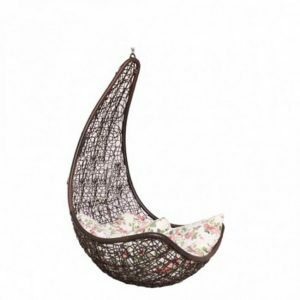 swing seat can’t be swinging or moving much more. Very comfortable cushion filled soft cotton. 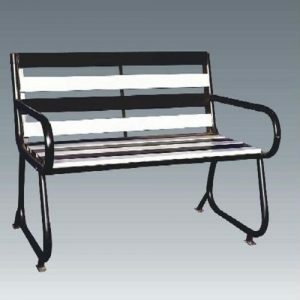 Features Simple and stylish style Sturdy and durable metal frame Comfortable seats for single people Suitable for both indoor and balcony. Normal assemble required (buyer self assemble). 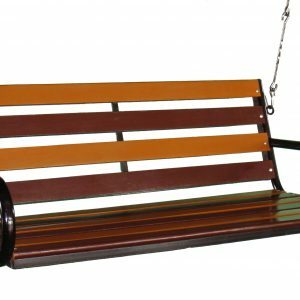 Material on Swing Frame: A strong Iron pipe 2 inch diameter frame. Material on Swing chair: Metal pipe. 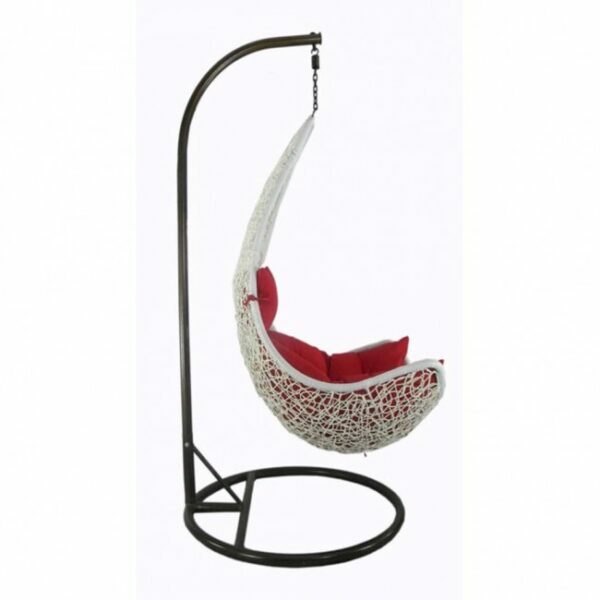 Color: white swing with cushion red and Stand is black. Dimension: Iron Frame 47″L x 41″W x 83″H inch. 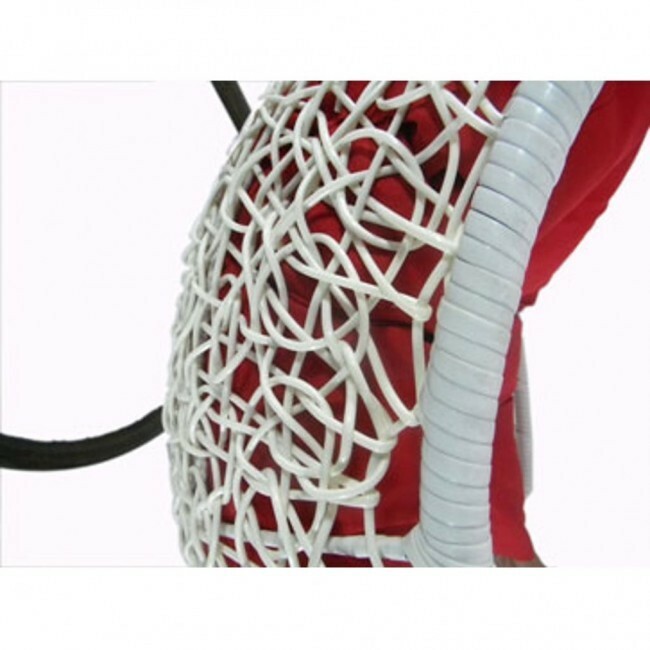 Capacity: 120 kg. 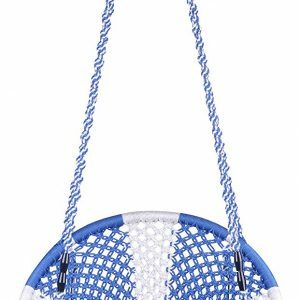 Accessory: 1 Pis Spring 1 Pis S.S Small Hook. 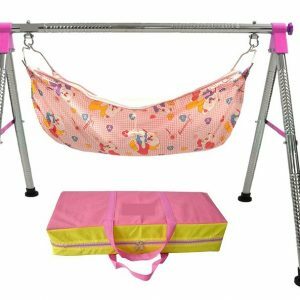 Package Include: 1 swing with Frame and cushion. 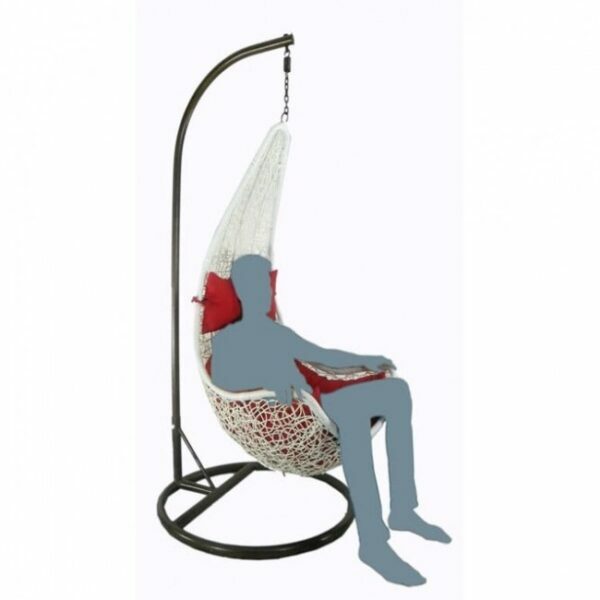 Comfortable: one people. The product will be delivered ground level only.